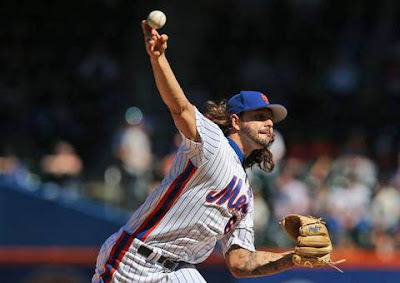 Sunday September 25th 2016: With a tired bullpen to go along with a battered rotation the Mets got what they needed from the young Robert Gsellman, seven shut out innings where he allowed just three hits & struck out his season high eight batters. He also retired 16 of the final 18 batters he faced. He even got his first MLB hit when he bunted safely in the 3rd inning. Quotes: Terry Collins- We needed one of those. Our bullpen was shot. So it was nice to be able to have comfortable innings at the end of the game." The Mets provided Gsellman with plenty of offense, as they scored a season high 17 runs in their biggest shut out in team history, by the margin of 17 runs. This was the day after a tough 10-8 loss on Saturday night, where they just fell short coming from ten runs down & on the day after the tragic death of Miami Marlin's young pitcher Jose Fernandez. 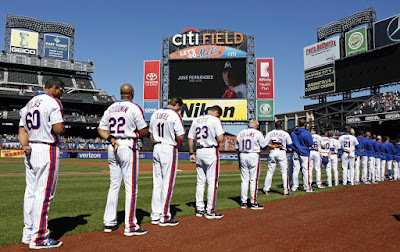 Both teams lined up before the game to honor the pitcher & Yoenis Cespedes taped a Mets jersey with Fernandez name & number on the back in the team's dug out. In the 2nd inning, James Loney drove in Jay Bruce with the Mets first run. 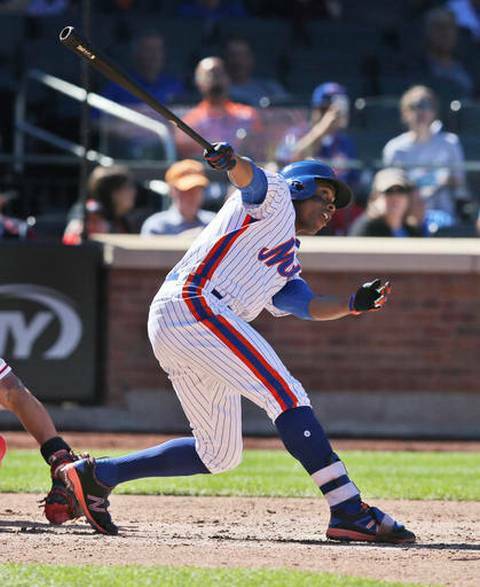 In the 4th Curtis Granderson hit his 30th HR of the season, a solo shot giving him 56 RBI's. The all time season low for least RBI's with 30 or more HRs is 64. Hopefully he will not set the record as the Mets need a hot week from him to close out the season. Since August 30th he has hit 10 HRs with 20 RBIS. Later that inning the Phillies helped out when Jake Thompson walked Jose Reyes with the bases loaded. 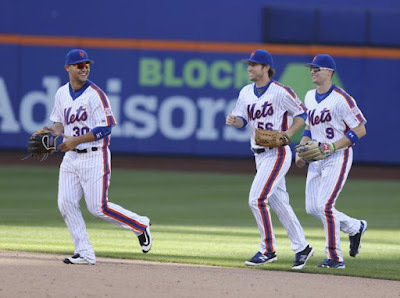 In the wacky 5th inning, the Phils helped out again, walking Yoenis Cespedes & Curtis Granderson. Jay Bruce just missed a HR but it ended up being a long single, loading up the bases. Next T.J. Riveria singled bringing in Cespedes. Next the Phillies, Phil Klein hit Rene Riveria on the wrist with a pitch scoring Granderson. Then Colton Murray threw a wild pitch to score Bruce. The batter was Jose Reyes, in the 7th he again walked with the bases loaded to make it 7-0 Mets. 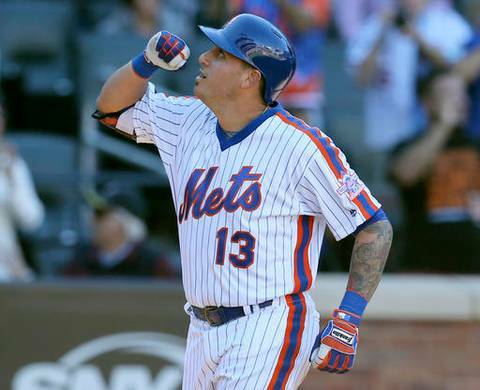 The big blow came when Asdrubal Cabrera hit his third career grand slam, way over the right field fence to give the Mets an 11-0 lead. It was Cabrera's 23rd HR of the season, two shy of his career high. 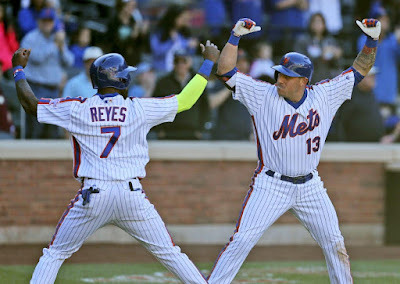 The Mets weren't done yet, they plated six more runs in the 8th inning closing out the last regular season game of the season with a season high 17 runs. Gavin Cecchini led off getting hit by a pitch. With two outs, Rene Riveria singled & Brandon Mimmo walked to load the bases. Jose Reyes who was in the middle of lost of scoring today, then doubled to left field bringing in two more runs. 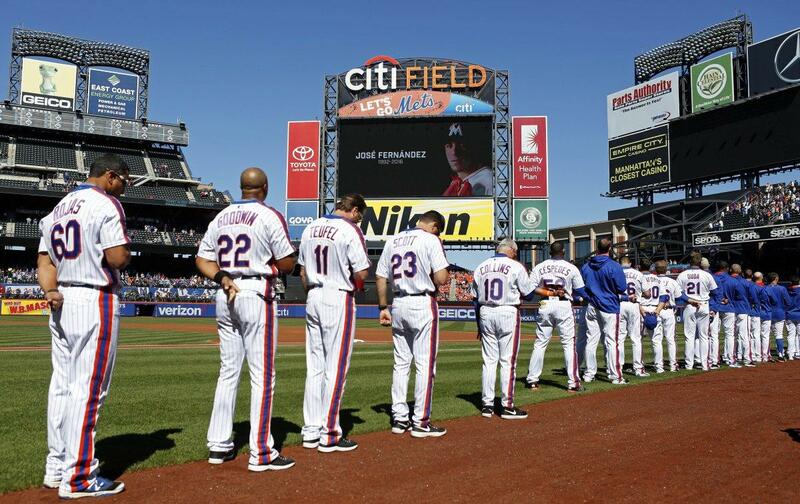 13-0 Mets. Eric Campbell came through with a pinch hit single bringing in Nimmo & Reyes making it 15-0. After Ty Kelly walked, Michael Conforto came in to pinch hit & delivered a double bringing in the final two runs. As the Giants & Cards both loss the Mets once again took lead of the top wild card spot in the NL. Quotes: Noah Syndergaard- "It really kind of sunk in today that it was the last regular-season homestand. I think you could tell the energy out there. But we don't want it to be the last game played here this season."